Over 20 years experience offering high quality products and dependable personal customer service. We are helping people help themselves. Take responsibility for your health today! Oxygen is vital to the healthy functioning of our body. It fuels all of its systems, fires its chemical reactions, and eliminates wastes and toxins. Oxygen is absorbed by hemoglobin in the blood and is transferred to every cell in the body. 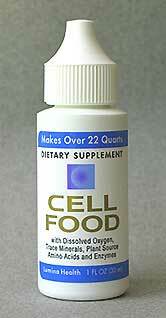 Cellular homeostasis is dependent on adequate supply of oxygen in the blood. Life is indeed propelled by the oxygen in our blood, and a lack of oxygen results in sickness, poor vitality, poor stamina, fatigue and general weak disposition. The greater oxygen levels in our bodies, the more resistant we become to viruses and harmful bacteria. When scientists analyzed the oxygen content of air bubbles trapped in ice-core drillings at the Antarctica, they found that the earth's atmosphere at one time contained between 38% and 44% oxygen. Over the years, increased pollution, increased toxins, mass rain forest destruction, and the reduction in of other natural oxygen producers have decreased the level of oxygen in our present day atmosphere from above 38% to below 20%.In major cities the oxygen content of the air has measured as low as 10%. Combustion of carbon and hydrocarbon fuels decrease the oxygen content of the air. Decrease in the size of the earth's forests results in less oxygen being released back into the atmosphere. Cooking or heating food reduces the oxygen content in vegetables and fruits, and processed foods have little or no oxygen content. Eating packaged foods with preservatives, anything hydrogenated (margarine), polyunsaturated fats, white flour, processed sugars, etc. all rob the body of oxygen. Valuable oxygen is needed to process and metabolize these foods - oxygen needed for primary metabolic functions and to fight disease. Add to this smoking, drinking to excess, lack of exercise and stress and you can understand why the population is oxygen deprived. Because our bodies are not designed for low level oxygen consumption, harmful toxins accumulate in our cells, tissues, organs, and blood streams. Initial symptoms of oxygen deficiency may include overall weakness, fatigue, circulation problems, poor digestion, muscle aches and pains, dizziness, depression, memory loss, irrational behavior, irritability, acid stomach, and bronchial complications. When the immune system is compromised by a lack of oxygen, the body is more susceptible to opportunistic bacteria, viral, and parasitic infections and colds, as well as flu. Oxygen deprivation can also lead to life-threatening disease, such as cancer. Cancer, and most other infections or disease cannot live in an oxygen-rich environment. Dr. Otto Warburg, twice Nobel Laureate stated, "the primary cause of cancer is the replacement of normal oxygen respiration of body cells by anaerobic (i.e. oxygen deficient) cell respiration." Diseases are anaerobic - they cannot exist in an elevated oxygen environment. Some examples of anaerobic diseases are: Cancer, influenza, HIV, herpes, measles, the common cold, Legionnaire's Disease, E-Coli, salmonella, staphylococcus, Arthritis, emphysema, asthma, chronic bronchitis, Chronic Fatigue Syndrome, Epstein-Barr candida and even heart disease. They exist and proliferate with little or no oxygen present. And most people are oxygen deficient. Significantly increase cellular oxygen levels and these anaerobic diseases cannot replicate, cannot proliferate, cannot exist. A very powerful statement but there are many doctors who now believe that a completely oxygenated body cannot harbor disease. Hydrogen: Plays a vital role in the electron transport chain. It builds cells, and if left unmodulated, makes them hard and brittle. These effects are balanced by the action of oxygen. Hydrogen is needed by the body to build and repair immune system, the body's organs and the cell structure. A lack of hydrogen can lead to dehydration resulting in brain shrinkage, face furrowing, face furrowing, drying of mucus, tendon/nerve cramping, gout, muscular rheumatism, mental confusion and inadequacy, neck stiffness, irritated skin and sore joints. pH (stands for potential of hydrogen), we all know how important pH is for the human body. This is a measure of how acidic or alkaline a substance is. Acids have pH values under 7, and alkalis have pH values over 7. If a substance has a pH value of 7, it is neutral-neither acidic or alkaline. Our western diets have a tendency to make us unbalanced. Immune deficiency. Acceleration of free radical damage, possibly contributing to cancerous mutations. Parasites, body odor and bad breath. Chronic infections and weak conditions.